WOW!! This cool moment was almost a year ago but I just found this in “drafts”, it was never published!! When A Little Love For You is abbreviated to ALL4u it reminds me why this little ministry exists…all for you, Jesus! Hearts…there is just something so darn appealing about them, right? Perhaps because God cares so much about our hearts and that they stay connected to His. 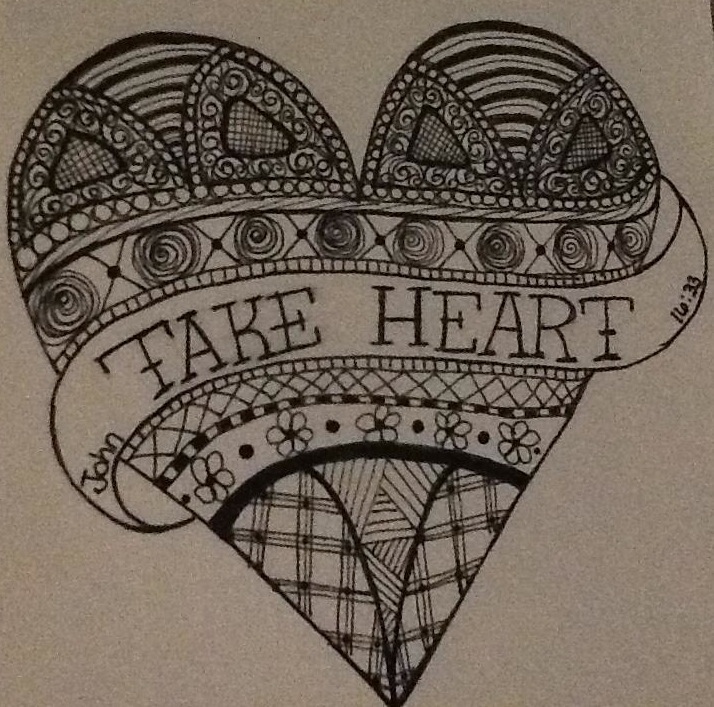 God uses this phrase “take heart” in a number of places throughout his word. The phrase is translated a several different ways including; be encouraged, don’t quit, be strong, be courageous, take courage, be of good cheer and cheer up!! All of these words bring such strength and comfort. I have recently discovered just saying or thinking “take heart” in the midst of a difficult circumstance can lift my spirit, remind me that God is in control and help me take the next step, whatever that may be. I hope it does the same for you! !